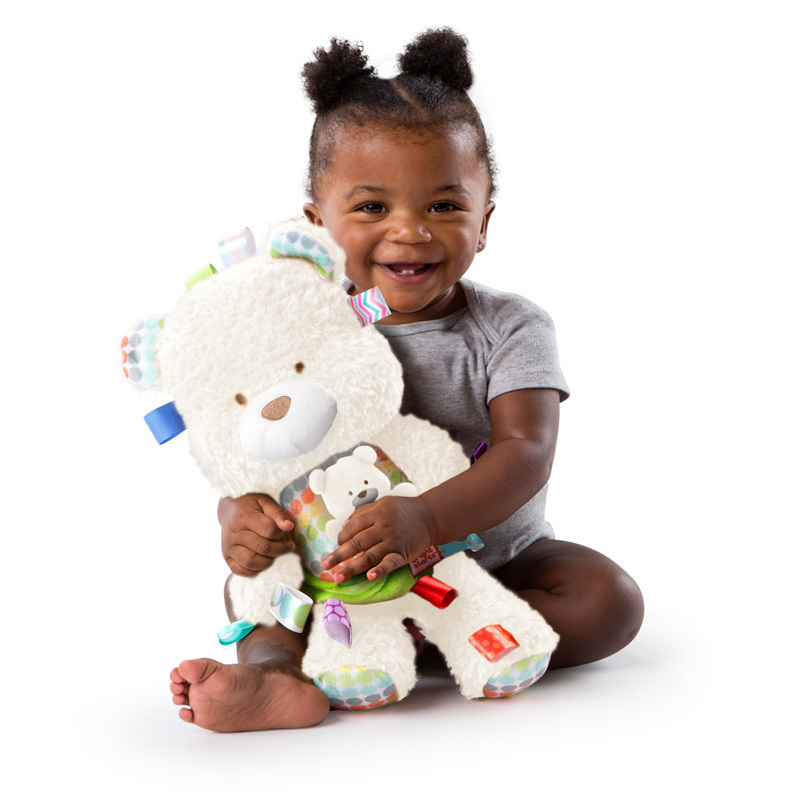 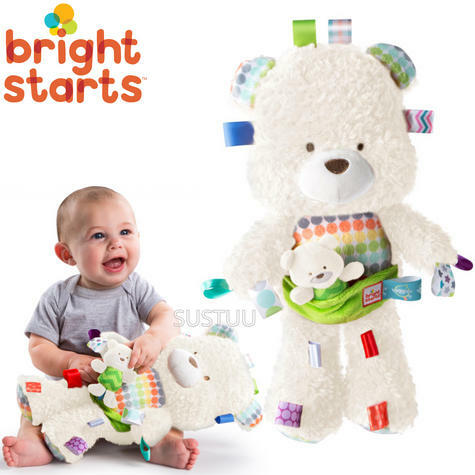 Fun Comes First!™ The super soft fabrics and enchanting features of the Snuggle & Play Bear™ from Bright Starts™ Taggies™ makes this teddy bear “un-bearable” to put down. 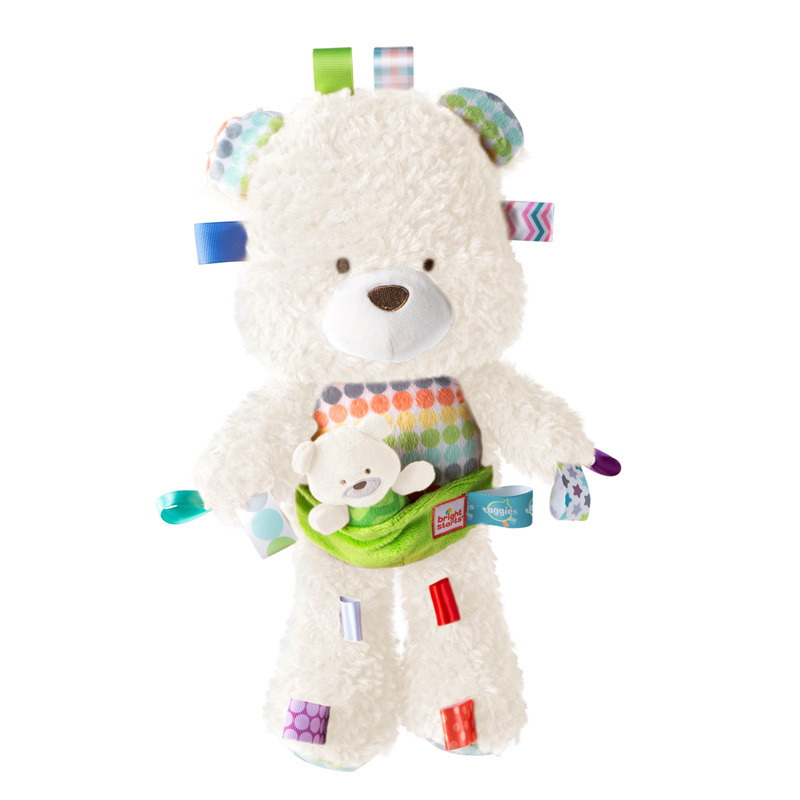 Baby will love cuddling up to the premium soft fabrics and getting their hands on the irresistible silky and colorful Taggies™ tags to engage baby’s fingers. Introduce baby to put-and-take play with the baby bear buddy. 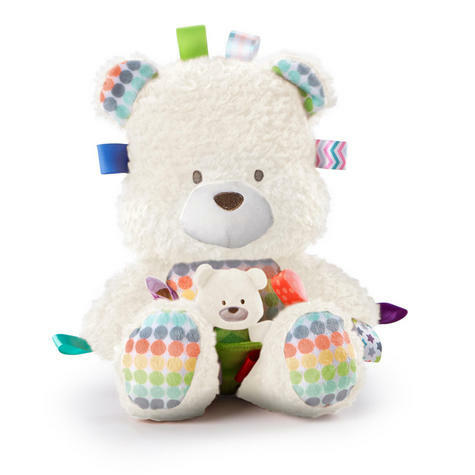 A sweet, soft chime inside teddy bear sounds with a gentle shake. 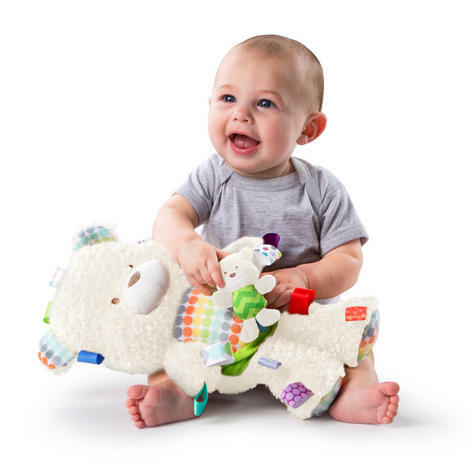 Perfect for babies newborn and up.